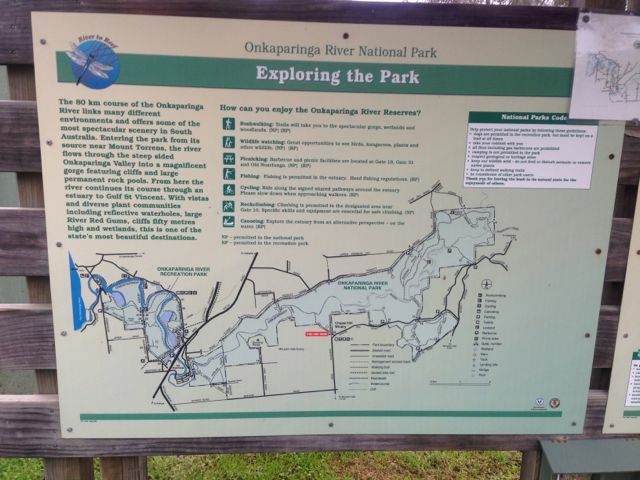 Following the activation at the Mark Oliphant Conservation Park, I drove a bit further to the south and activated the Onkaparinga River National Park which is situated about 32 kms south of Adelaide. 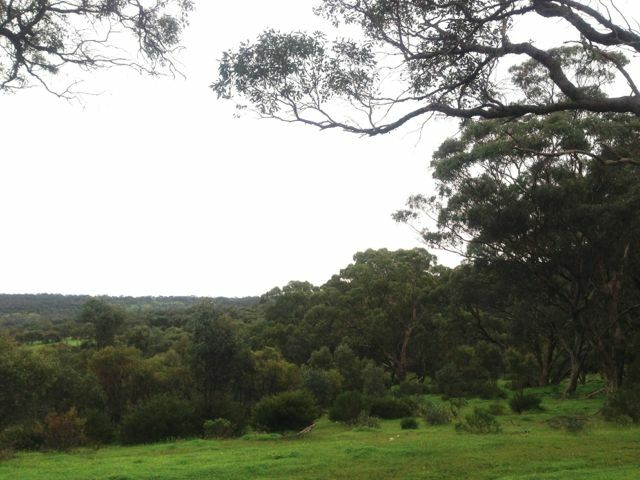 The park, which is 1544 hectares in size, incorporates the Onkaparinga River Recreation Park (284 hectares). 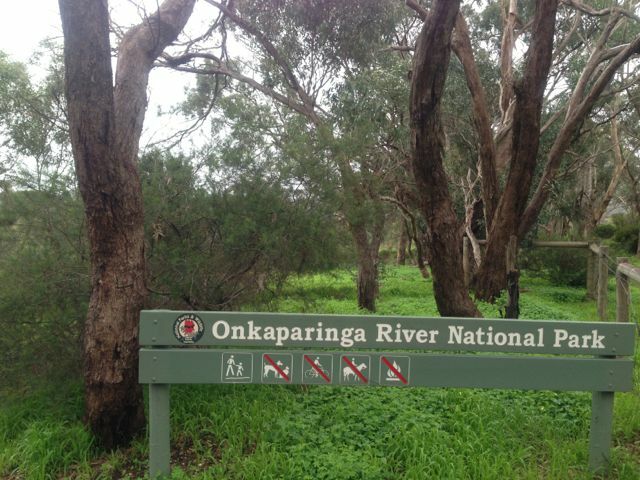 The park follows the Onkaparinga River to the sea. The river enters the park in a steep sided valley and flows into a magnificent gorge with cliffs up to 50 metres high and large permanent rock pools. The Onkaparinga River is South Australia’s second longest river. It is 95 kms in length and runs from its source between the towns of Mount Torrens and Charleston, here in the Adelaide Hills, not far from my home qth. The river then flows south westerly to an estuary at Port Noarlunga. The name of the river comes from ‘Ngangkiparinga’, a Kaurna Aboriginal word meaning ‘The Women’s River’. It was during about 1840 that Europeans commenced settling in the area which resulted in rapid displacement of the Aboriginal inhabitants. In 1837 Surveyor General Col William Light named it Field’s River, or the Field River, after Lieut William George Field RN (1804-1850) of the brig Rapid, who carried out the first surveys in the vicinity, but subsequent Governor George Gawler soon reinstated the Indigenous name. The vegetation of the park has been greatly perturbed by human activity, but remnant patches remain. The most intact area is the Hardy’s Scrub section of the reserve. Unfortunately 160 years of livestock grazing, timber harvesting and cropping has cleared most of the park of native understorey species and in many areas invasive grasses are the main vegetation type. 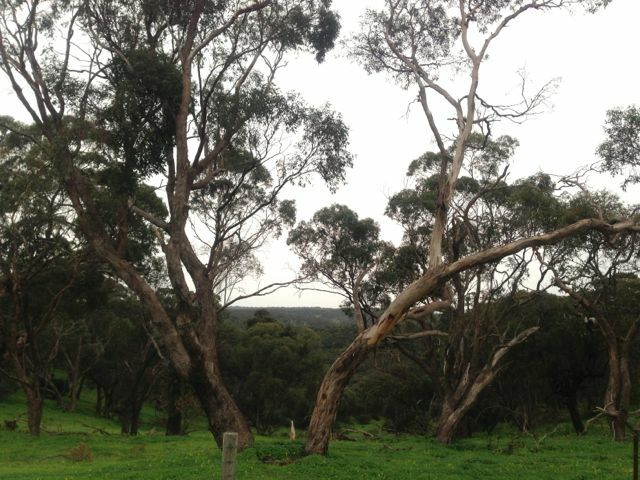 A variety of remnant Eucalypts are the most noticeable native species in the reserve: Eucalyptus microcarpa (Grey Box), Eucalyptus fasciculosa (Pink Gum), Eucalyptus porosa (Mallee box), Eucalyptus Cameldulensis (Red Gum), and Eucalyptus leucoxylyn (Blue Gum). The European Olive (Olea europaea) which is a noxious weed here in South Australia has invaded the park. A variety of wildlife including kangaroos, echidnas, are common in the park. About 180 species of birds have been found in the park. Rock climbing is permitted in the park at the designated cliff climbing area. You can also canoe or kayak down the river. I entered the park via the southern side of the park, off Chapel Hill Road, about 1 km east of the well known Chapel Hill winery. 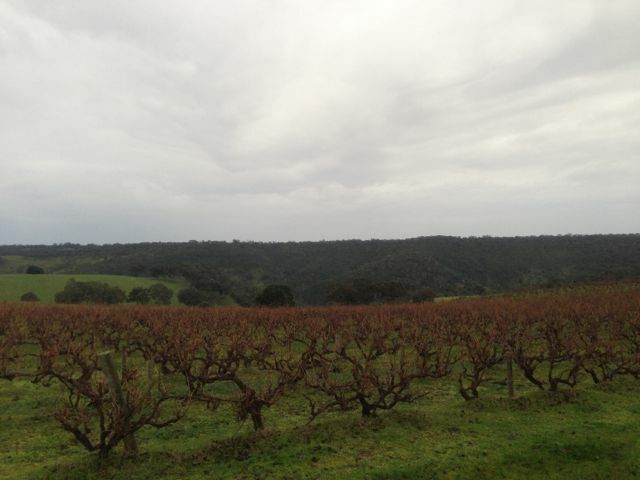 This is deep in the heart of the McLaren Vale & McLaren Flat wine region, where some of Australia’s best wines are grown, particularly Shiraz. As a lover of red wine, it was really hard driving passed some of the wineries, and not going in for a tasting ! I found a nice little carpark off the road with plenty of room for me to string out the dipole. 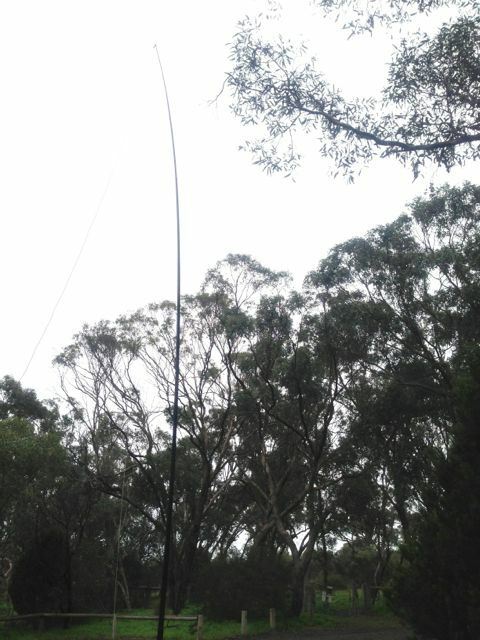 I secured the 7m squid pole on a permapine post and tied off the ends of the dipole to some gum trees. I turned the radio and tuned to 7.100 and heard some of the regular ‘Hunters’ John VK5BJE, Col VK5HCF, & Steve VK5AIM, having a chat waiting for me to come up on frequency. Spoke to both John and Col, and I then had a few more QSO’s with a few other regular ‘Hunters’ Brian VK5FMID, Nev VK5WG, & Bill VK5MBD. I worked a total of 10 stations on 40m SSB. Stations worked:- John VK5BJE; Col VK5HCF; Steve VK5AIM; Brian VK5FMID; Nev VK5WG; Larry VK5LY/qrp; Tony VK3CAT; Bill VK5MBD; John VK5FMJC; and Michel VK3KVW. This entry was posted in National Parks. Bookmark the permalink.